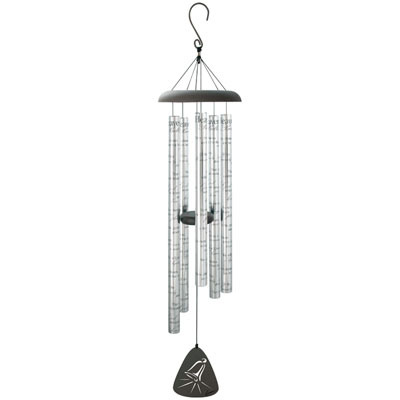 Our large 44" memorial wind chimes serve as a comforting gift of remembrance. Place them on a patio or memorial garden for beautiful music and quiet meditation. Please review spelling of the personalized message. Personalized items are not returnable. Text will be centered and engraved exactly as written.